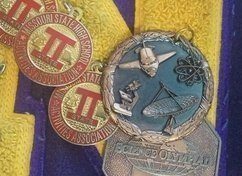 During high school, I participated in my school’s Science Olympiad Team. The team competed in multiple competitions every year with aspirational goals of bringing science to life, learning to work as a team, and of course, winning. One of the first events that I ever placed in was Tower Building. The event required you to build and test a tower made only of wood and glue that could withstand a 15.000 kg load. At the end, participants were evaluated on how much weight their tower could carry, its height, and total mass—but the crucial component was the alignment of the tower to assure all of the weight was distributed evenly throughout. Building these towers required planning, precision, and creativity with very limited materials. I was able to excel in the competition by first creating a blue print so I could assure that I was meeting the construction parameters and understanding the different factors at play. This approach to planning is also a useful tool when applied to societal issues, like the rapidly increasing aging population. In 2014, the 65 years or older population was at 46.2 million (PDF), which accounts for 14.5 percent of the U.S. population—or one in every seven Americans. The population is estimated to increase to 98 million by 2060. The numbers, although astounding, aren’t necessarily new information, and in Colorado, the story is no different. Colorado’s 65 and over population continues to become older and more diverse. Current estimates indicate that there are more than 585,000 adults age 65 and older (PDF) living in Colorado with the numbers set to exceed 1.4 million in 2040—accounting for 19 percent of Colorado’s total population. In addition, the life expectancy among Coloradans will also increase from 77.2 years to 80.4 years in that same time period. The aging of our population will undoubtedly be taxing on Colorado’s health care system. A person’s annual health care expenditures typically increase (PDF) as they approach 65 due to more frequent occurrences of age-related events like falls—which are the leading cause of both fatal and nonfatal injuries among older adults. Luckily, there are many programs and initiatives underway in Colorado that are working to improve the quality of life for older adults. The Colorado Department of Public Health and Environment’s Healthy Aging Plan (PDF) addresses five areas of focus that aims to improve the number of older adults who are living well. The Volunteers of America Colorado Branch provides evidence-based health and wellness programs throughout several counties that help older adults learn about chronic disease self-management, take part in exercise programs, fall prevention programs, and many others. By addressing healthy aging, as these programs are, we have a real opportunity to prevent a rapid increase in health care costs. Planning for the influx of Colorado’s seniors won’t be easy, but devising a thoughtful and creative approach ahead of time—much like the planning needed for my tower—will be key to making sure we can support the load. We may not have all the materials we want, but I believe Colorado has enough to anticipate the shift in demographics so that we can all achieve our best possible health.